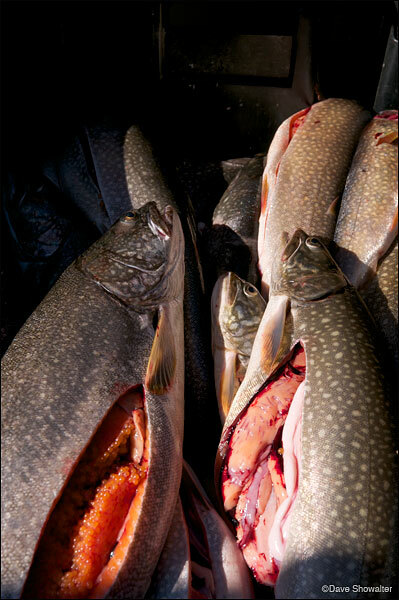 Male lake trout that will be returned to Yellowstone Lake for biomass enhancement. The invasive trout have devestated the native Yellowstone cutthroat trout population. The National Park Service and several NGO's are working collaboratively to oblterate as many lake trout as possible to save the Yellowstone cutthroat. Photo © copyright by Dave Showalter.